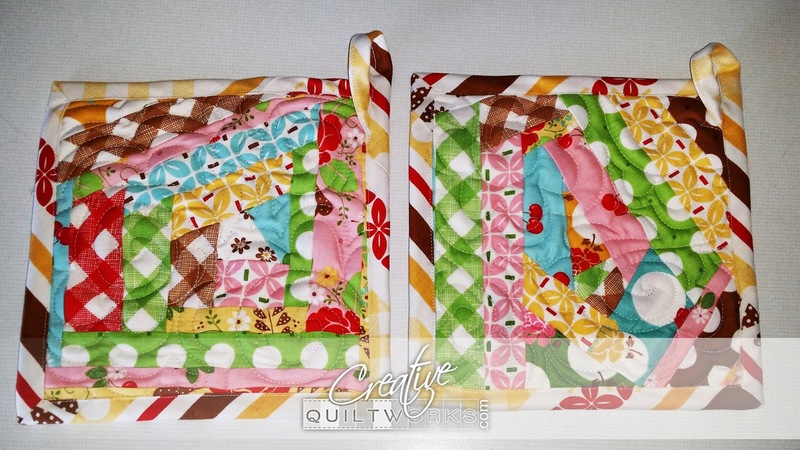 I've been having so much fun making hot pads with left over scraps! Here is one set front and back. 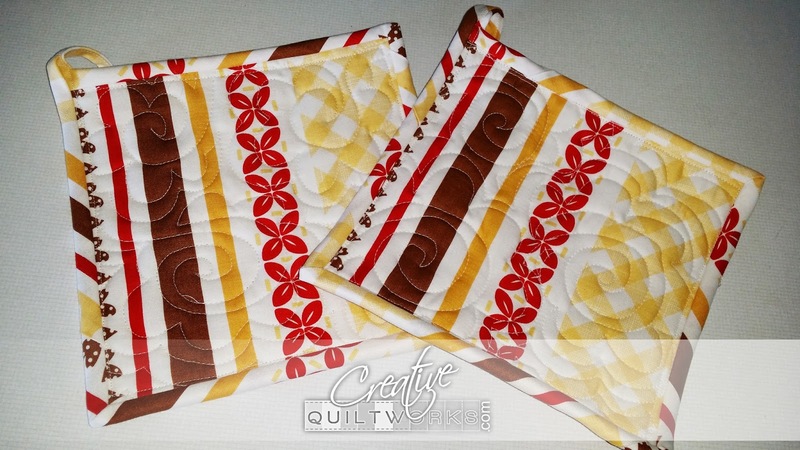 This set has flower quilting. 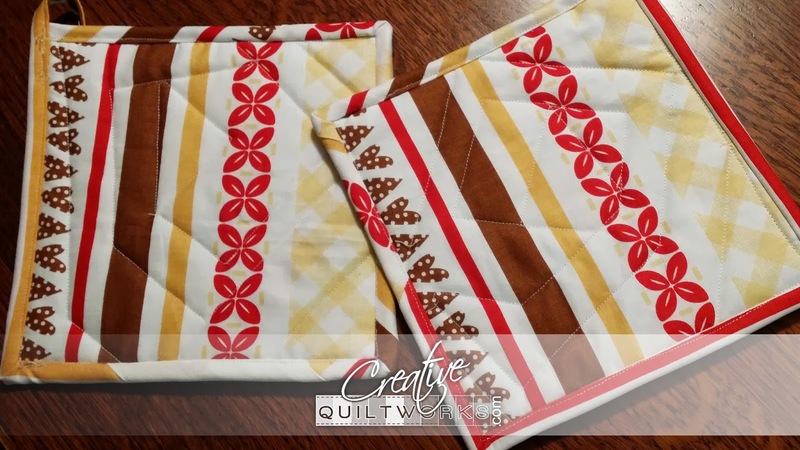 Here is another set quilted using the Stitch in the Ditch technique! So these are fun and easy to make. I cut a 7 1/2 to 8 inch square of left over cotton/poly batting. Somewhere near the center I place a triangle or pentagon shaped scrap. I lay another scrap face down along one side of the original scrap and sew a quarter inch seam. Flip the upside down scrap so it is right side up and finger press. 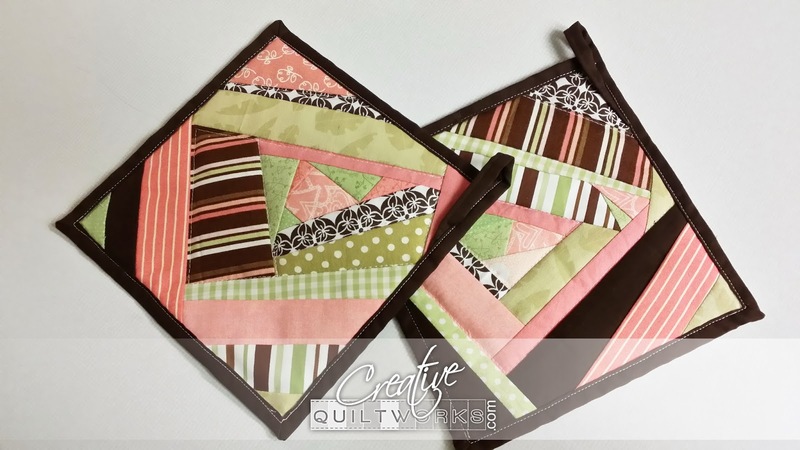 Then, place another scrap upside down along another side of the original scrap and sew it and flip it. Repeat the place, sew, and flip steps round and round the original scrap until the whole piece of batting is covered. Cut a backing square the same size as your batting. Quilt along a few of the scraps to hold it all together. Trim to even up the square. Bind with your favorite method! 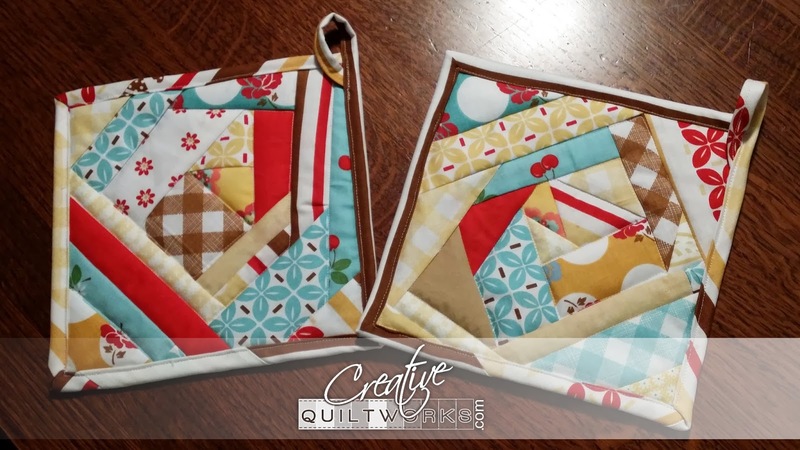 The fabric combinations are endless, happy quilting!